However - when I woke up Friday, I saw some tweets saying the site was down. I confirmed this. I hopped over to AppFog, restarted the site, and everything was kosher. I then tried to figure out what went wrong. AppFog has a command line tool and it provides access to crash logs. When I ran this though nothing came up. I saw my console messages but nothing more. I really had no idea what happened. I opened a ticket with AppFog and just carried on. Yesterday I was testing something with the site when I realized something crucial. If your Node app encounters a bug, its aborts. As in - it dies. This is not new to me at all. I’ve been playing with Node for a while. But when running a Node app as a site, well, that’s pretty important to remember. I’m so used to the ColdFusion model (which applies to PHP and other platforms) of a constant server that simply parses code on a request by request basis. For folks curious, my bug was rather simple. The code that handled loading a page by the SES token (what you see in the URL) was not handling cases where the token didn’t match anything. I didn’t notice this until I deleted an entry and reloaded the page to ensure it was gone. The second I did - bam - the app died. I need to do a bit more research into how I can handle this in the future. There is an interesting article about a tool called Forever. It attempts to keep a Node app running, well, forever. But I don’t think I could use that on a hosted solution like AppFog. The other thing I want to investigate is error handling in general. 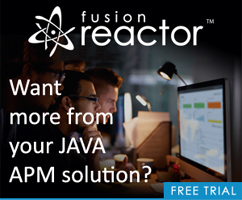 In a ColdFusion app, I’d have logic to dump the exception in development and mail/log it in production. Express has ways to handle dev versus production easily enough, I just haven’t actually added it to my application yet. As a paying customer, this does not make me happy. Of course, I know I’m at the cheapest tier, but I’d hope for some type of response within a day at least.